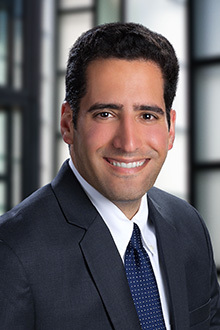 Jeffrey Kominsky is a partner in the Fort Lauderdale office of Lewis Brisbois and a member of the Complex Business & Commercial Litigation Practice and General Liability Practice. Mr. Kominsky’s practice focuses on civil litigation matters, including medical malpractice and business litigation. Mr. Kominsky is experienced handling commercial disputes and business conflicts including breach of contract, breach of fiduciary duty, fraud, and civil theft. Prior to entering private practice, Mr. Kominsky honed his legal skills while interning for the U.S. Department of Justice in Washington D.C. and the Civil Rights Section of the Office of the Ohio Attorney General. A native of Florida, he founded the organization Students Take On Paralysis (STOP) which, in collaboration with the Miami Project to Cure Paralysis, works to promote awareness of spinal cord injuries and help educate others in prevention methods. Based on his work with STOP, he created and taught a course on disability issues at the University of Michigan’s School of Nursing. From 2002 through 2005, Mr. Kominsky interned with the Minnesota Vikings, reporting directly to former Vikings owner, Red McCombs. Mr. Kominsky’s interest in sports law/business continued into his studies at law school as the Founder & Chair of the Inaugural Sports Law Symposium at The Ohio State University. He currently serves as South Florida's Chapter President of the Florida Sports Law Association as well as a Regional member for the Sports Lawyers Association’s Outreach Committee. In 2015, 2016, 2017, 2018 and 2019, Mr. Kominsky was recognized as a "Florida Rising Star" by Florida Super Lawyers Magazine. June 05, 2015 Break into Sports or Broke out of Sports? Jeffrey L. Kominsky, Access Granted: Proxies and the SEC, 2 Ohio. St. Ent. Bus. L.J., 573 (2007).